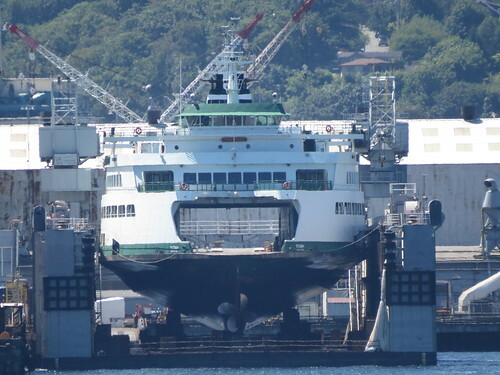 If it hasn't already the big dry dock from Portland will show up @ Vigor soon. It is a panamax dock and can easily accommodate a Jumbo class vessel. Should give them more flexibility going forward. I had heard at some point that the Fairhaven @ Bellingham was gunning to find some equipment to be able to dry dock JMII's and work on them. Has anyone heard anything about that or did it die a quiet death? It arrived a few weeks ago. 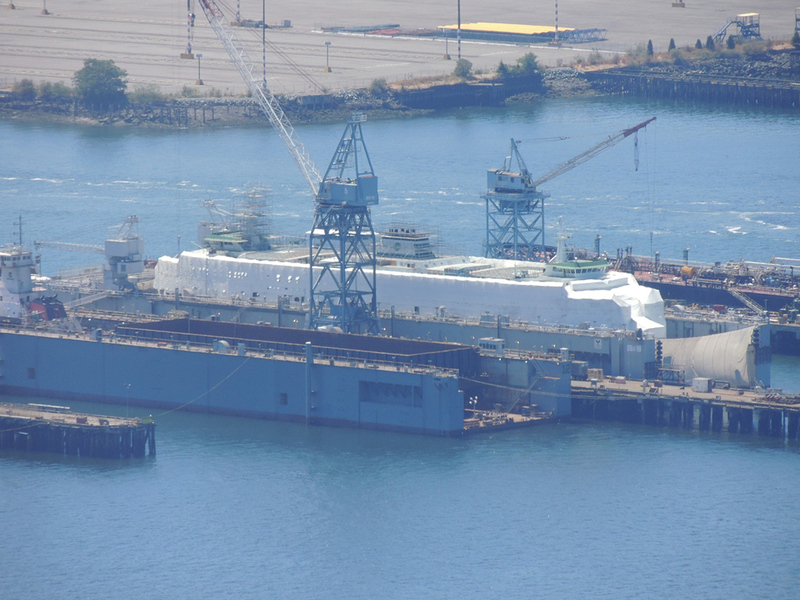 As for the shipyard in Bellingham, they did get that larger drydock. Just before the Tacoma went out for work I managed to get a tour of her. Enjoy! 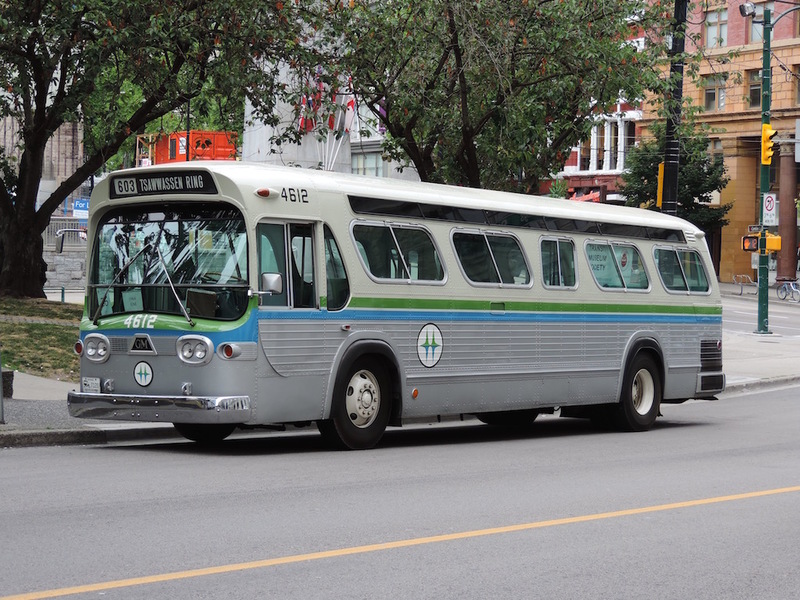 I've seen some pretty unspectacular results in off-season paint jobs, especially the Yakima's paint that was applied in February some years ago. Came off in sheets within months. Granted, I think they work harder at making that NOT happen, but still. And like EGFleet said, Vigor is available when Vigor's available. Sometimes this board forgets that there is more to the planning than "they oughta." I'm with Barnacle here. Sending the Tacoma to dry dock right now is not ideal, but could be the only time available to have the work done within the constraints of the other mechanical work that has to happen with her out of the water. Didn't we send one of the Jumbo Mark IIs up to Vancouver a few years ago for dry docking specifically because Vigor could not accommodate? Finally, it is most critical that Edmonds-Kingston has at least two Jumbos in the summer time. Having the Puyallup there is icing on the cake from a capacity perspective, but the handful of extra cars isn't totally critical. It would be a disaster if a Super had to run there all summer. Its great that the Tacoma is in the yard finally getting the paint that she needs. Has anyone seen the Chelan lately? I see a fresh photo of her, posted a few minutes ago. Go to the Chelan thread. You'll see it there. The galley. I took this right as I boarded, as it fills up very quickly after loading begins! After spending 4 months in Vigor's dry dock the Tacoma returned to service this evening sporting a new coat of paint. While in dry dock Vigor also installed new 5-blade propellers that are expected to reduce vibrations and boost fuel efficiency. Is Slip 1 at Bainbridge out of service? Both vessels (Hyak and Tacoma) have been using Slip 2 this past week. 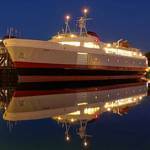 The Hyak also did spend the night at Eagle Harbor on Monday night. That looks more like an oversize "Barberi"-Class Staten Island ferry, painted white instead of orange. We all know that's the TACOMA and she uses conventional fixed propellers rather than egg beaters. BTW, some tugs here use egg beaters to move about and we use them making and eating scrambled eggs in our diet. Wile E Coyote gets "Scrambled Aches" in Arizona. 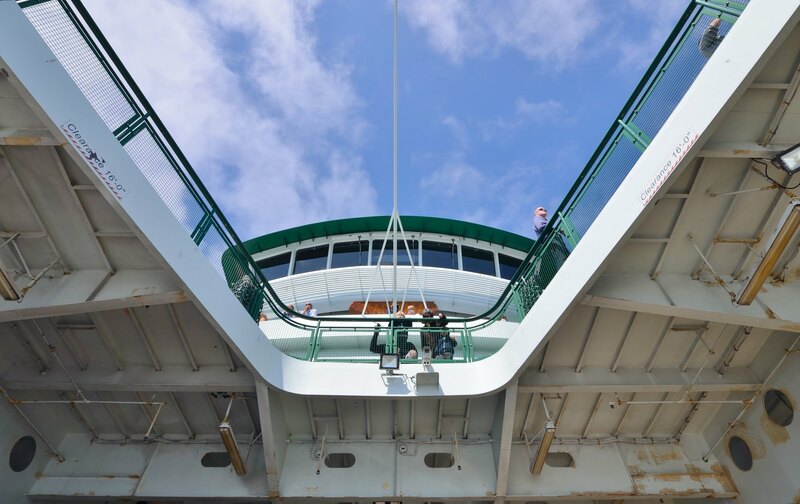 "The ferry Tacoma continues to have problems with its running lights. 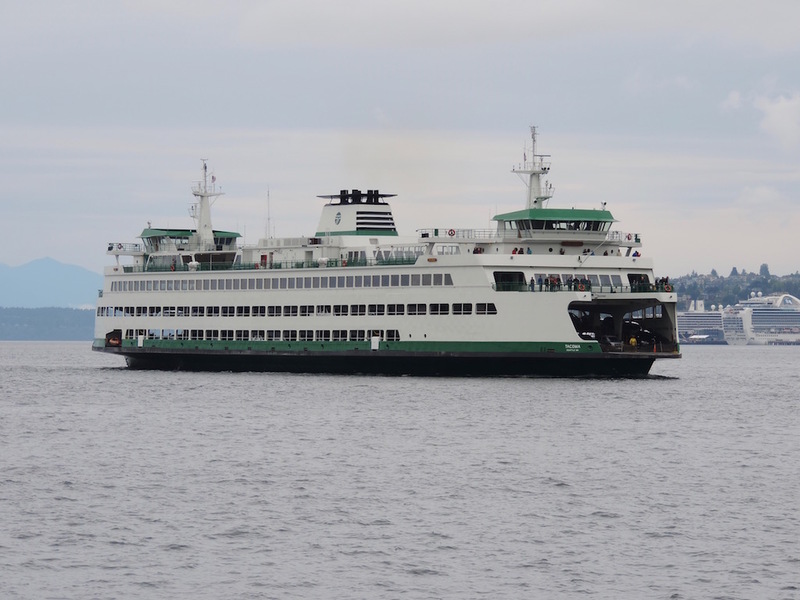 Workers today were not able to fix them, so its final sailing will be the 5:30 p.m. out of Seattle. The Coast Guard requires them after dark. 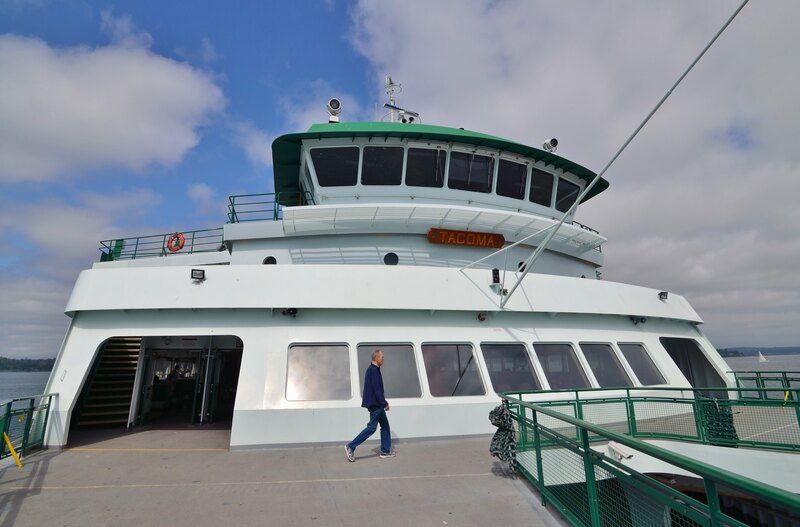 WSF hopes to return the boat to service tonight or at least by the Monday morning commute." 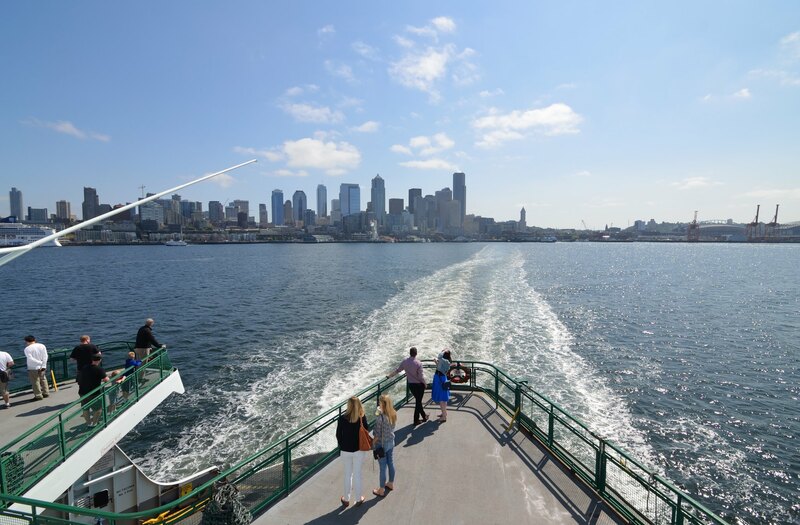 Tacoma arriving at Seattle from Bainbridge Island on May 21, 2016. I am posting this because she was repainted last summer. Does anyone know what the Tacoma's up to? She's been doing loops around Elliott Bay all day long, (I'm assuming it's sea trials). I didn't think any 'big repairs' happened while she was at Eagle Harbor. 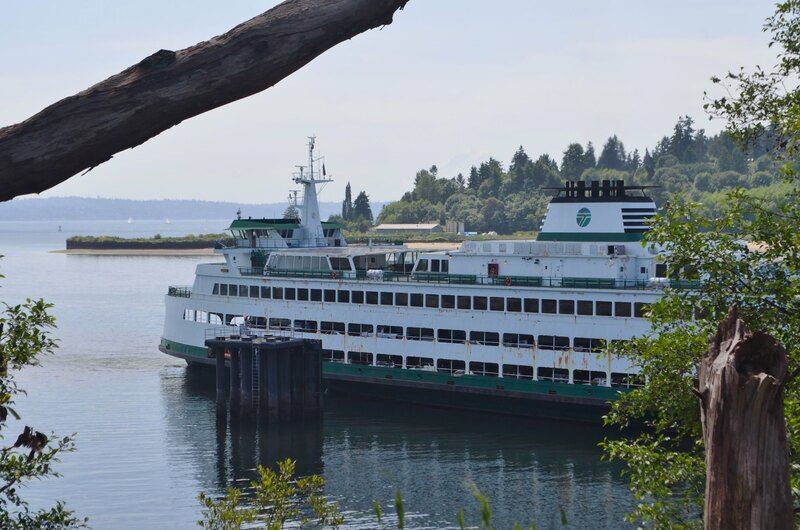 She was moved back to Bainbridge yesterday and the Walla Walla replaced the Hyak at Bremerton so she could have her scheduled repairs done. The Kitsap was moved up to the SJIs and the Hyak's move was postponed. 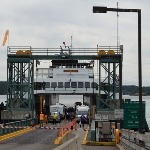 The Kitsap is in the SJI's replacing the Chelan. 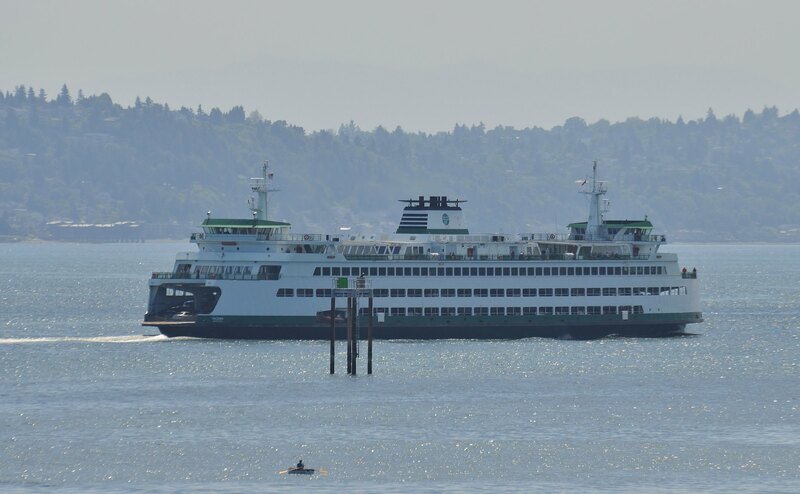 The Hyak is in the SJI's replacing the Samish. I was traveling on the Tacoma today and due to the smoke spent most of the trip in the passenger cabin. 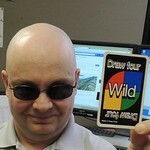 However I noticed an oddity. 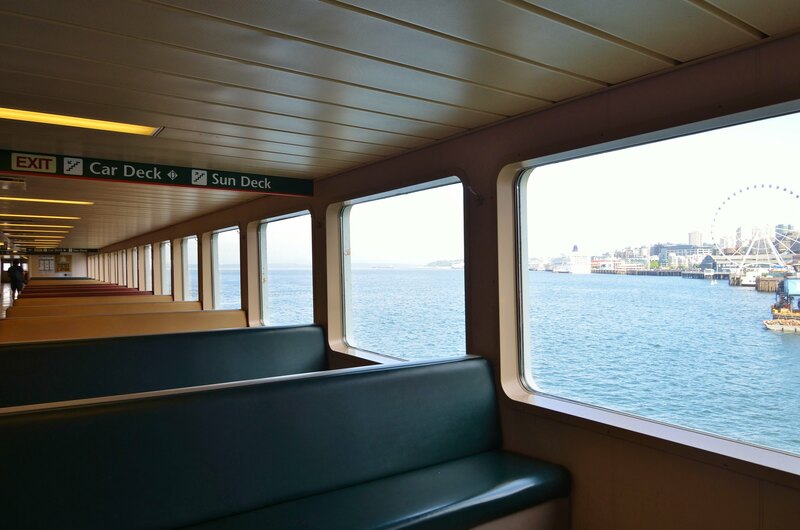 There is one blue seat on the boat. I looked around the rest of the boat and couldn't find another one. Is Tacoma the only vessel with a single chair of a different color? 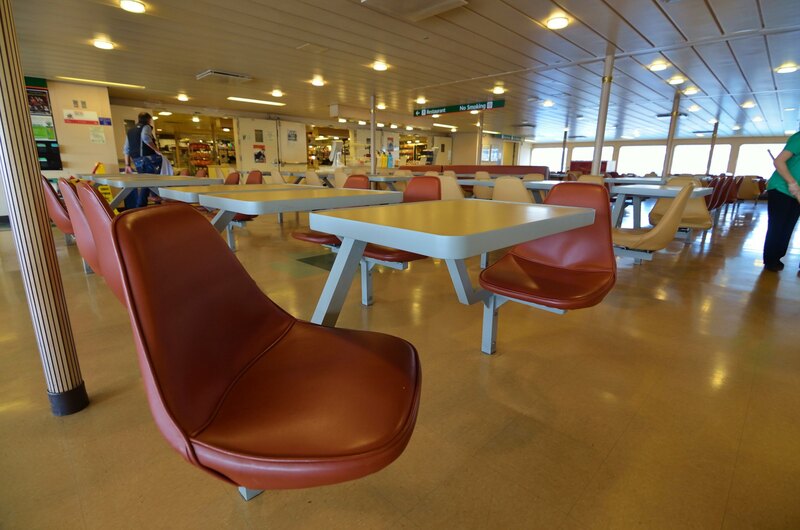 For reference the seat was located on the Winslow end (non-galley) on the southern main walkway in the passenger cabin.